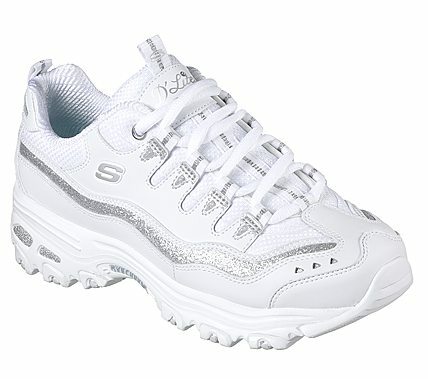 Mix a retro favorite style with updated comfort and wearability in the SKECHERS D'Lites - Now and Then shoe. Smooth leather, glitter finish synthetic and mesh fabric upper in a lace up sporty casual sneaker with stitching and overlay accents. Air Cooled Memory Foam insole.